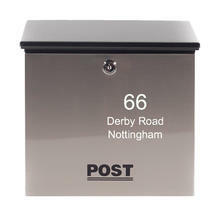 Sleek contemporary styled letter box. 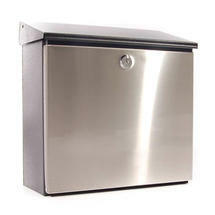 The letter box is a sturdy galvanised steel construction with black finish and stainless steel drop down door. 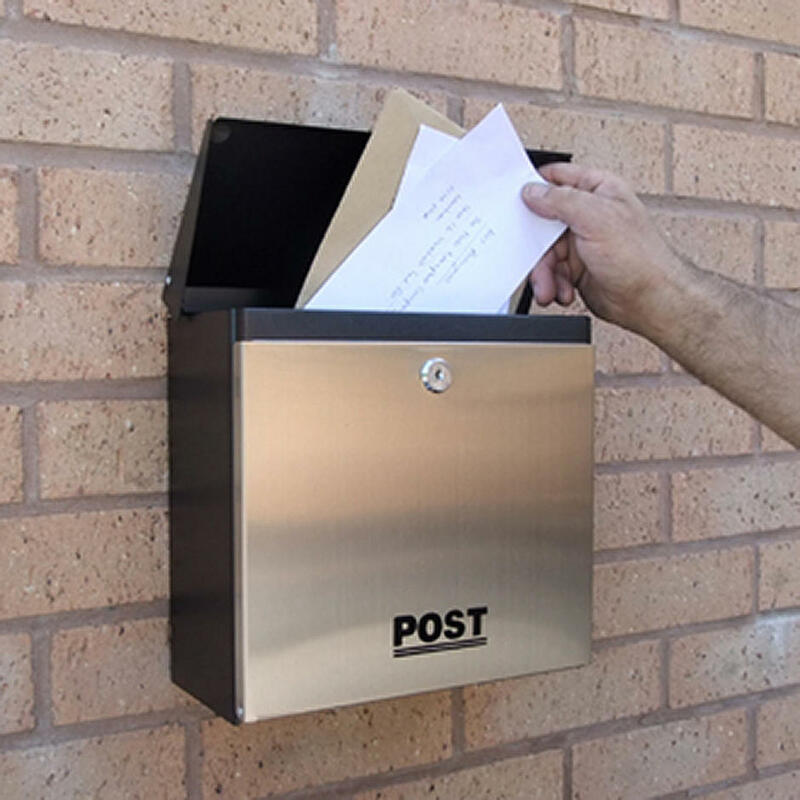 Door is lockable and has a laser etched word 'POST' on the front in black. 2 keys and wall fixings included. Post slot size 24 x 3.5cm. 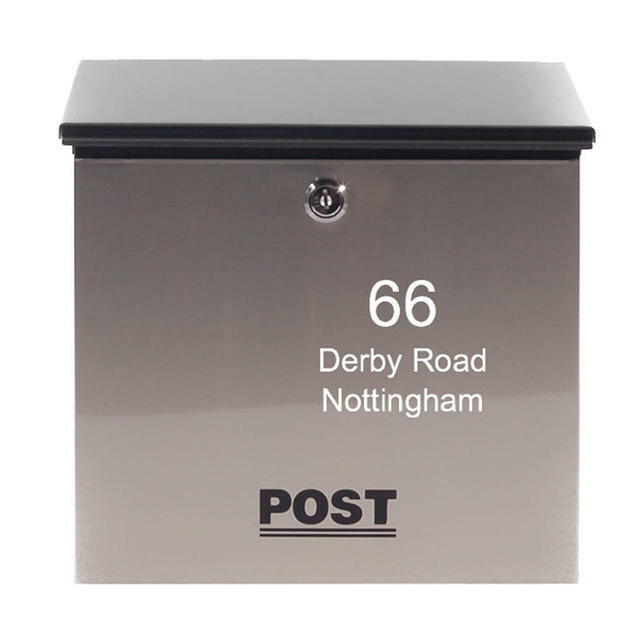 This letterbox can be personalised with your house name and number. Simply enter your details. 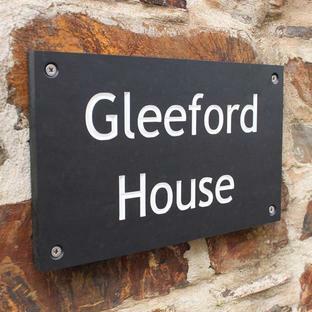 Choose from gold, silver or white vinyl lettering. 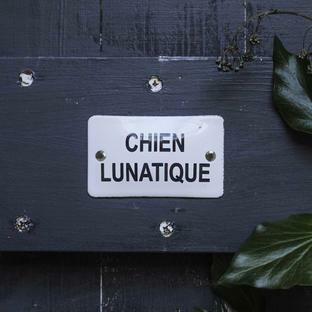 NB This letterbox can also be further personalised with a motif (colour of motif will be made to match font colour) if you wish. 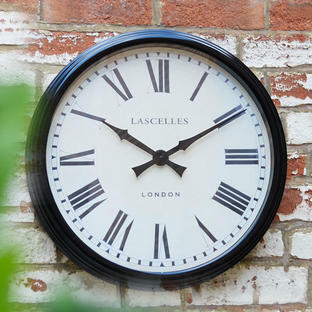 Choose from: Swallow, Fleur de Lys, Cat, or Bay Tree or none. 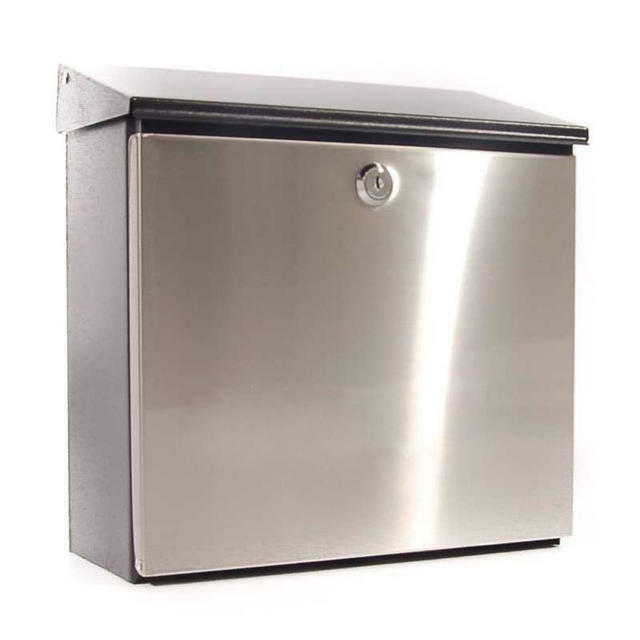 Stainless steel metal products may be affected by prolonged exposure to atmospheric conditions, particularly sea air, which may cause the letterbox exterior to deteriorate. Any queries please call us on 0345 6052505.